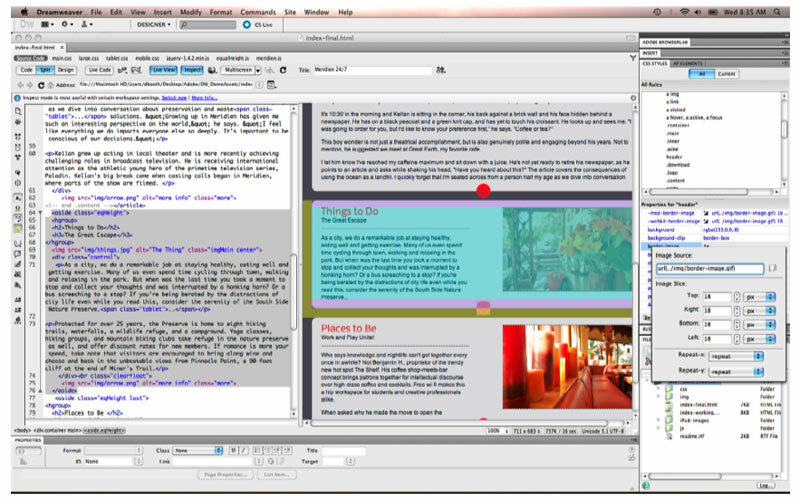 Adobe Dreamweaver CS5.5 software empowers designers and developers to build standards-based websites with confidence. Design visually or directly in code, develop pages with content management systems, and accurately test browser compatibility thanks to integration with Adobe BrowserLab, a new Adobe CS Live online service. * CS Live services are complimentary for a limited time. Design your site visually--Get a jump on creating standards-based Web pages with updated CSS-based starter pages. Enable CSS Inspect in Live View and tweak your design visually to get just the right margin and padding. Ensure cross-browser compatibility--Test your pages in Adobe BrowserLab on multiple browsers and operating systems. Compare browser views solo, side-by-side, or onion-skinned atop one another for pixel-precise matching. Integrate FLV video--Import any FLV file directly into Dreamweaver and quickly integrate a player skin of your choosing. Simply set options such as display size, autostart, and looping, and then your video is ready for the Web.